Lately, Fake texting has become very popular, and there are now different sites and apps available for you to create a fake conversation of your choice to prank your friends and make them believe something that isn’t real. Pranking people has become a trend using social media. Most of the time, what you see on your Facebook status and chats and even circulating on Whatsapp are fake and created using various tools. Here we will take a look at the different fake chat generator sites and applications that you can use to make conversations according to your liking. These sites will modify everything in your conversation and still manage to give your chat an entirely authentic feel while reading them. Here are a couple of online tools that can be sued to create fun fake text messages and fool your friends and prank them. The messages that are created using these apps seem very real and are usually sent by the sender. Here is a detailed list of the 10 best fake text message generator apps that will help you out any time you need them. It is one of the best got to fake text generators available. It allows you to create texts in about 14 different languages. What more can you ask for? It is mostly meant for iPhone users and it very easy to work with. All you have to do is fill out certain information and choose the language you want. Then simply decide whether you want to be the sender of the fake message or the receiver. The site works particularly well if you want to make up a conversation that consists of various multiple messages. You can also send the messages to a third person you are trying to prank or convince of your lie. It is very laid out and easy to sue, you do not want to skip over this one. This site has a good visual interface. You just need to put in your fake conversation, and it shows up as a screenshot of an actual iPhone message. You can now notice what your message will look like. It even allows you to add images to your messages so you can now make your conversations look as realistic as possible. You can add all the little modifications like network preference and WiFi options along with the phones statuses. Once you have customized how the screen ill look you can type in the message and create the ultimate collage that you wanted. This website will support the latest iOS elements so that your texts look as up to date as possible. It allows the use of images and emojis to customize the texts and make it seem like its real. Another unique feature of the website is that you can post either blue or green messages that will make your fake texts look authentic. You can customize the battery, the type of phone, the network connection and other different settings. The interface of the site is easy to use and comprehend. 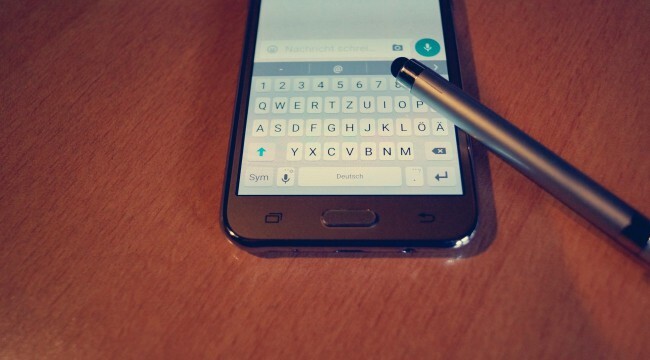 You won’t ever feel lost while you're creating your texts. You can download and save your images in the PNG format. This layout is like most other that is available on the market although you don’t get as many options as you might get on some other site. You will see all the options to make your snapshots look realistic although the customization is not very broad. You can add image and emojis to the fake text, and it is perfect if you want to play a harmless prank on others. From all the other website generators, this one is pretty different because it's an app that you can download on your Smartphone. It is much better than a website chat generator because you can create everything right there on your phone without having to transfer everything from your computer after creation. That cuts down on the number of steps required in the fake text message generating. You can share whatever you create using Threads on Facebook, iMessage and Whatsapp. The app comes in multiple languages which are an added advantage and gives a more authentic feel to the messages you create. This site provides you with a limited number of options to create your fake conversation. All you need to do is insert the contact name, the carrier, time and the actual body of the text. The site will generate the message in the prescribed format, and you can then see the outcome. The site is simple to use as there isn’t a medley of additional options to carry out the required tasks. Although sometimes it may not look as realistic because of this very reason. All said and done; this site is worth looking into if you're just beginning to bring out the prankster in you. Although it doesn’t have the prettiest layout possible, you can save all the fake messages that you generate so that you can revisit them later and make any changes as you desire. Fist you must click the icon that lets you customize the messages and then you can generate the screenshot that you will send to your friends as a prank. The site doesn’t let you make actual fake texts but in case you just want to show someone a shot of the conversation; this website is good enough. It is a site to generate fake chats exclusively for WhatsApp. You can add a name, a profile picture, the clock, contact, online status and all the messages about this particular contact. You can be sure about one thing that the end product is very realistic, and no one will be able to find out the difference between an authentic chat and one that has been generated. The snapshot is sent the same way that it's sent through Whatsapp, so there you have more of the realistic dimension. On the added plus side, this is free. This site has been made exclusively for Android devices and can be used to create fake messages for different apps. The abundant features include being able to send and receive texts from anyone, using a mirrored layout, controlling both sides of the conversation, fixing certain details, faking media and voice messages and editing the type status. If you own an Android phone, then you can download this app easily from the Google PlayStore. The iPhone Text Clone works best for newer versions of the iPhone. You can black out the name of the contact using this site as opposed to blurring it with other websites. There are plenty of intricate details that you can manipulate using this site with easy customization options and the creation of fake texts. Adding emojis and images is also possible. Once you set everything up all you need to do is click the create image tab, and your screenshots are ready to use.